Jaded Blossom: Ho Ho Ho Treat! 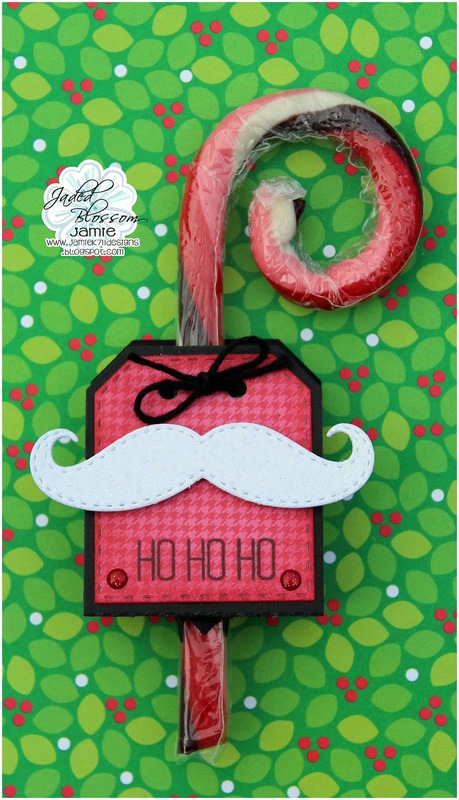 Jamie here to share a quick treat with you using this month's spotlight set Holly Jolly Christmas! I used the Sweet Treats Die to create this treat. I added the sentiment from Holly Jolly Christmas and added a Mustache Dies cut with glitter paper.